Staying fit for a role is just one of the many aspects of being an actor. For Outlander’s Sam Heughan, keeping in top shape is pivotal for his part as highlander Jamie Fraser in the popular series. With that in mind, Heughan recently shared how he manages to stay fit and what his most challenging stunt on the show has been so far. In an interview with Box Magazine, Heughan revealed that he trains just about every day for his role in Outlander. In fact, the actor explained how he has his own equipment on set, although it is a far cry from a typical gym. Although many fans might expect some of the scenes on the show to be tiring for the actor, Heughan went on to explain how his training regime makes it easy. In particular, the Outlander hunk conditions himself for anything the series might throw his way. In addition to the interview, Heughan also took the time to snap a photo with the fitness magazine. 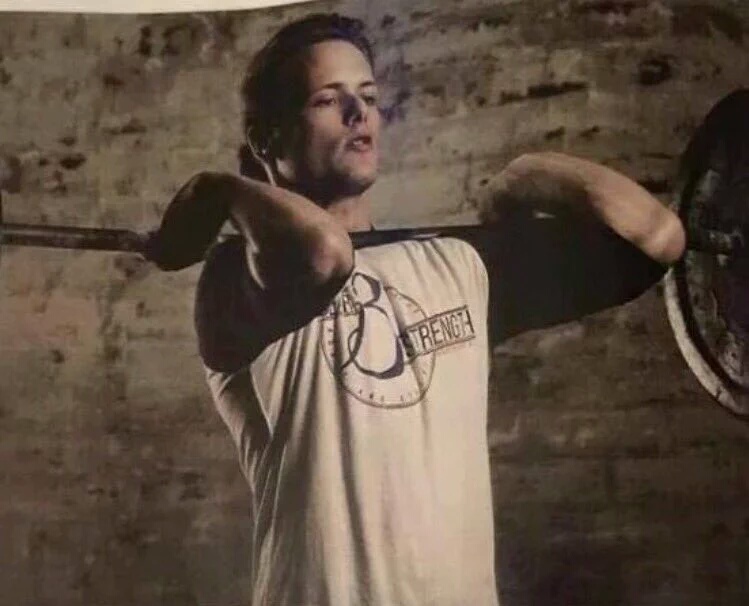 The image was posted to Twitter and features Heughan shirtless next to a barbell. While fans are probably not surprised at Sam Heughan’s level of fitness, they might find what he considers to be his most challenging Outlander stunt to date interesting. According to Scotland Now, it has nothing to do with sword fighting or horseback riding. The highly anticipated second season of Outlander will feature Jamie and Claire (Caitriona Balfe) making their way to Paris, France. While the couple will have a number of different challenges to face while infiltrating the upper class of French society, a new wardrobe is just one of the many changes coming to the new season of Outlander. According to the Radio Times, fans were recently treated to a first glimpse at how Jamie and Claire will look in the coming season. Unfortunately, fans will not see a whole lot of tartans in Season 2. 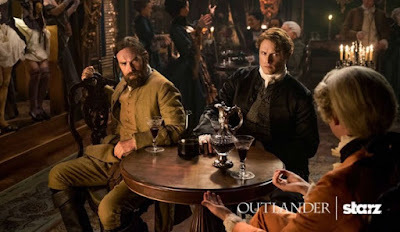 Instead, the two have ditched their traditional Scottish garments and are set to wear a few fancier outfits in Season 2. 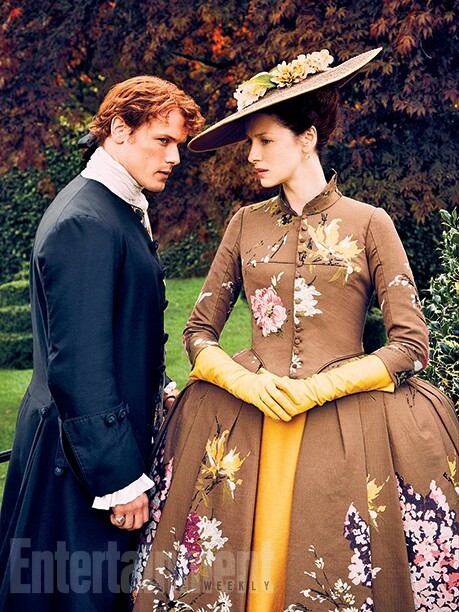 In the released photo, Jamie and Claire are seen posing together in their brand new getups. For Jaime, this includes a proper blue coat and no kilt. At the same time, Claire is wearing an elaborate dress in the image, complete with matching gloves and elaborate hat. In speaking about the change in costumes for Season 2, Terry Dresbach recently told Entertainment Weekly that fans can expect a significant change from the first season. In fact, not only did the designer reveal that every costume is meticulously detailed but that they had “over 10,000” unique items, including “5,000 shoes.” Incredibly, that is over 2,500 different pairs for the characters. The second season of Outlander is set to air on April 9th, 2016. Tell us! Are ready for the return of Sam Heughan and Caitriona Balfe when Season 2 of Outlander premieres in April? Let us know in the comments below.